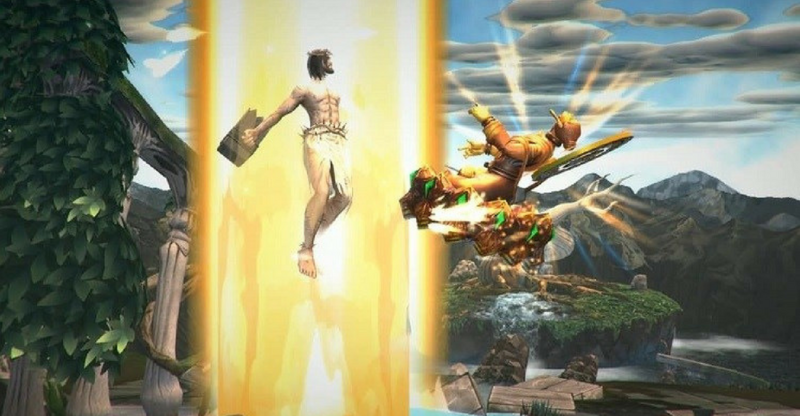 We Investigate Exactly What's Gotten The MCMC So Steamed Up About "Fight Of Gods"
Last Friday, the gaming community was shaken by the news that the Steam store had been banned in Malaysia. As it turns out, one single game was the cause of the entire ban: Fight Of Gods. MCMC apparently issued an ultimatum to Steam (instead of the developers of the game itself) to remove the game from being downloadable by Malaysians within 24 hours, or they would block the entire website. The website did end up getting the boot last Friday, only to promptly return by Saturday. But it did spark a lot of raging from players who might have been planning on blowing off some Steam that weekend and downloading some new games. The offending game’s developers—Taiwanese-based Digital Crafters—included a disclaimer stating that they had “no intention of offending any persons and the utmost respect was given during the development”. Well, offence was clearly taken. So we set out to find out why. 1. Before the game’s launch, the trailer already seemed problematic. 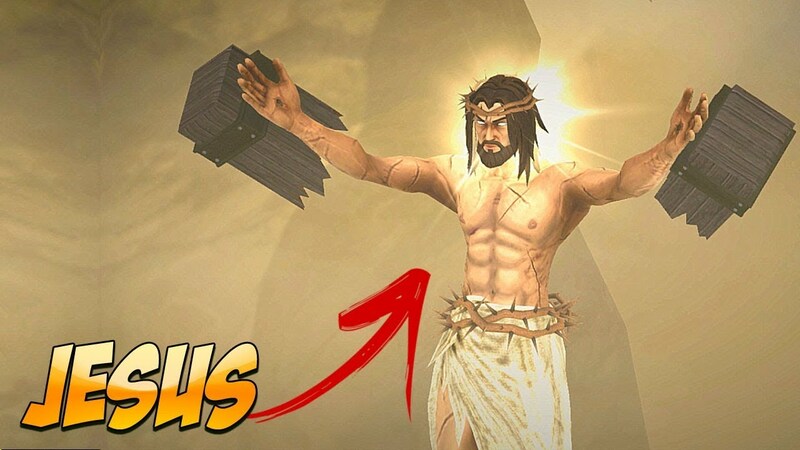 Between Jesus breaking off the cross, using those chunks of wood to beat other gods, and floating words proclaiming Jesus to be “spreading peace” while the Jesus character continually bashed the Buddha character using a ray of “Holy” light, there’s certainly a lot to be said about how gods are depicted in the game. The trailer clearly showed that the developers didn’t hold any of these religious figures at a degree of respect that some parties felt they deserved. Before the controversy began, previous announcements of the game mostly focused on gods like Amaterasu, Odin and Thor, who have been depicted in titles sold in Malaysia with no repercussions. This is probably because belief in these gods do not constitute as any of the officially recognised religions in Malaysia. But when they brought Buddha and Jesus into the equation, that changed matters entirely. 2. It isn’t just Jesus and Buddha they’ve brought on board. The famous screenshots of the game showcase Buddha, represented as a stone idol in the lotus position (and their depiction of Jesus beating the crap out of their depiction of Buddha, hence the controversy). 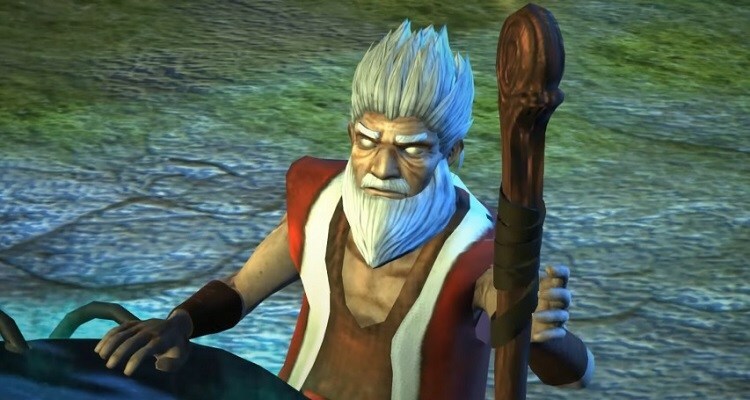 But a lesser-known trailer also depicts Moses using the stone tablets of the commandments to batter other gods as part of his moveset, and what apparently looks like Moses using is “sea splitting powers” to injure enemies. Moses is generally considered a prophet, but it seems that the development team were playing fast and loose with the term “god”. Considering the content of the game so far, Digital Crafters might move on to choosing more and more famous religious icons as inspiration in the fighter roster as additional downloadable content. The controversy isn’t necessarily negative—it could help them gain attention in an internet culture that rewards this attention-seeking. According to reports, the developers take fan requests of which gods might join the pantheon, and Prophet Muhammad is a current fan-favourite. It was perhaps with this possibility in mind that made MCMC choose to cut this game before it caused more offense. 3. They’ve also trivialised God (or the gods, depending on your cup of tea). This game comes across to me as the Sharknado of fighting games, where everything is purposefully made cringey and campy for maximum meme humour. For a less meme culture example, think of crappy horror movies like Friday the 13th (remake) or House of Wax. Let us cringe at that pun together guys. So between that, all of their other punny trailers, and the entire concept of this game, the religious figures that are deemed to be of a high, exalted position are mocked, and popular depictions of them parodied. 4. Religious leaders have also called for a ban. But here’s how the controversy started in the first place. Before Steam’s sudden blocking in Malaysia, there have actually already been calls to ban the game by leaders of various religions. As reported by The Sun, the voices speaking up against the game included Perlis Mufti Datuk Dr Mohd Asri Zainul Abidin, and the deputy preside of the Malaysian Consultative Council of Buddhism, Christianity, Hinduism, Sikhism and Taoism (MCCBCHST) Datuk R.S. Mohan Shan. “Any religion and religious leaders who are rational would downright condemn the game, as I’m sure no religion encourages violence and fighting against each other,” said the Perlis Mufti. It does seem like the MCMC only made their move after pressure from these groups. And if Steam did comply to the MCMC’s demand for Fight of Gods to be removed, or if the games’ developer actually got the memo for the removal, perhaps this issue would never have blown up to what it is today, blanket Steam ban and all. Some Christian and Buddhist religious leaders, along with R.S. Mohan, have reached out to thank MCMC for their “swift action” in banning the site, and have requested monitoring of any illegal downloads. And as a final point, it definitely didn’t help that Fight of Gods did go on a little marketing campaign on YouTube to get their name out there. That being said though—unfortunately for some detractors to the game—this whole controversy might have brought Fight of Gods more attention. Because the whole of Steam was banned just for this one game, it currently feels like the offense is bringing this campy fighter a lot more attention than it would have gotten if no move was taken. Sure, it’s now banned from Malaysia, but enterprising downloaders with enough interest will find a way to get their hands on the game, one way or another. In fact, the forbidden fruit might now seem all the more attractive. Was the ban anything more than a symbolic move? Since it does stand in line with the principles and culture our nation holds dearly, you could argue yes. But that’s another article in itself. Feature Image Credit: Screenshot of Fight of Gods on Steam.